Ngwekazi Khanya Ncusane from Western Province has been named the Coca-Cola® Hero of the day for day 5 of the U18 Coca-Cola® Craven Week. The prestigious Coca-Cola® Hero of the Day award is presented on each day of the tournament in recognition of a game changing ‘hero’ moment. 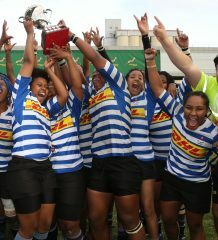 Ngwekazi was selected for the award by a Coca-Cola appointed panel of rugby experts, led by SuperSport anchor Elma Smit. His hero moment came after the Lions had found their way back into the game after scoring an intercept try. 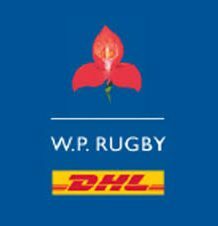 The Lions kicked off and the ball moved very quickly down the Western Province backline where the big eighth man was standing on the wing. There was nothing on for him when he received the ball so he tried to make something out of nothing. Ngwekazi broke through the Lions defense and chipped the ball through for his support players, setting off a move which eventually led to him scoring the match defining try. “I saw other players wearing the Coca-Cola® Hero of the Day red shorts and when I won the award I was really pleased that I got mine too. I wish that I had the chance to wear them in a match as I believe the Coca-Cola® Hero of the Day is more prestigious than a man of the match award,” said Ngwekazi. “A big congratulations to Khanya on his selection as the Coca-Cola® Hero of the Day. This year’s final match was an exciting, hard fought contest. At the end of the match it was Ngwekazi’s moment that separated the two teams. His award is well deserved,” added Elma Smit.